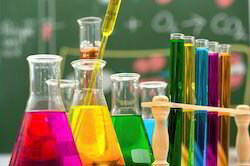 Our product range includes a wide range of cyclohexane and cyclohexanone. We offer a complex range of Cyclohexane that is enriched with different properties including stability and chemical reactivity. 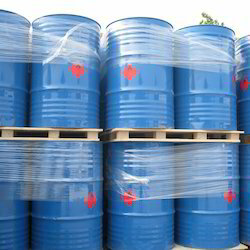 It is used as a nonpolar solvent for the chemical industry and also as a raw material for the industrial production of adipic acid and caprolactam, both of which are intermediates used in the production of nylon. Unlike other compounds Cyclohexane cannot be obtained from natural resources such as coal. The chemical does not form a planar hexagonal arrangement with interior bond angles of 120. The chair conformation is a term used for the arrangement that the chemical possess. Scientists named Derek Barton and Odd Hassel both shared the NobelPrize for work on the conformations of cyclohexane and various other molecules. Cyclohexanone is the organic compound with the formula ((CH2)5CO. The molecule consists of six-carbon cyclic molecule with a ketone functional group. This colorless oil has an odor reminiscent of peppermint as well as acetone. Looking for Organic Compounds ?